Features: -Lightweight frame folds in half for easy storage. -Frame construction: Polished aluminum. 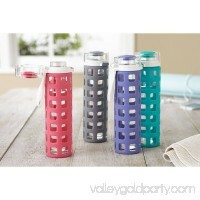 -Multicolored finish. Base Material: -Metal. Shape: -Rectangular. Finish: -Yellow/Pink/Gray. Tabletop Material: -Metal. 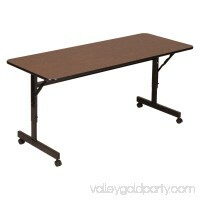 Dimensions: Overall Height - Top to Bottom: -28". Overall Product Weight: -13 lbs. Overall Width - Front to Back: -32". 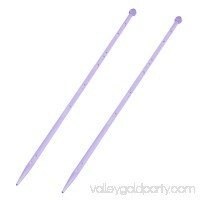 Overall Length - End to End: -48". Features: -Lightweight frame folds in half for easy storage. -Frame construction: Polished aluminum. -Multicolored finish. Base Material: -Metal. Shape: -Rectangular. Finish: -Yellow/Pink/Gray. Tabletop Material: -Metal. 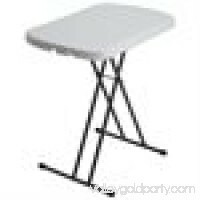 Dimensions: Overall Height - Top to Bottom: -28\". Overall Product Weight: -13 lbs. Overall Width - Front to Back: -32\". 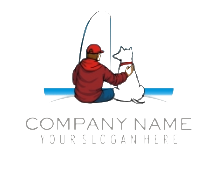 Overall Length - End to End: -48\". 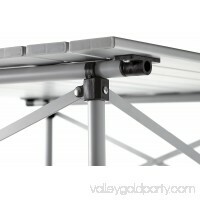 Bring along an extra surface to set up for outdoor use thanks to the Coleman Pack-Away Folding Table. 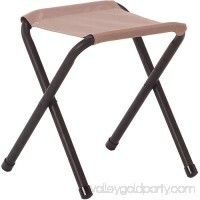 It is made with a lightweight yet durable metal frame and it seats up to six adults. 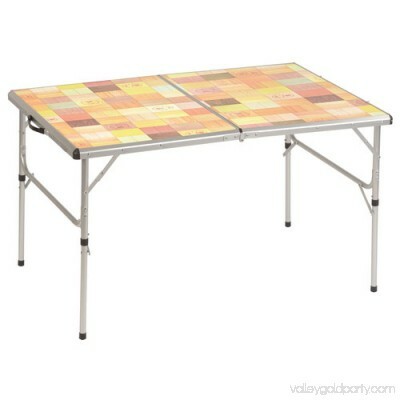 The aluminum folding table measures 32\" by 48\" and has easy height adjustments that help add functionality. 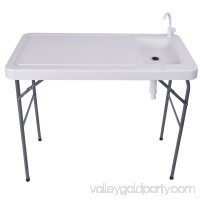 This portable table is ideal for a wide variety of uses. You can bring it along and do tailgating in a college football-stadium parking lot. 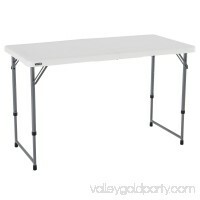 When you have friends over for a backyard BBQ, you can use this table as an eating area or just socialize around it. 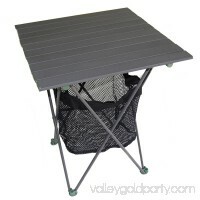 Most anywhere you need an extra space to sit, the Coleman folding table will do the job. 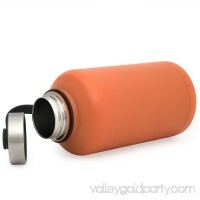 Its 300 lb weight rating makes this sturdy camping gear useful in almost any setting. When you are finished with dinner, it folds in half for easy storage. 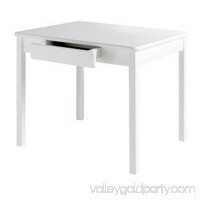 The table itself weighs just 12.9 lbs and it features built-in handles that make carrying and transporting it simple. Overall Height - Top to Bottom: 28\"
Overall Width - Front to Back: 32\"
Overall Length - End to End: 48\"